A Rocky Mountain Bighorn Sheep eating wheat at the foot of the Black Mesa in Kenton, OK. 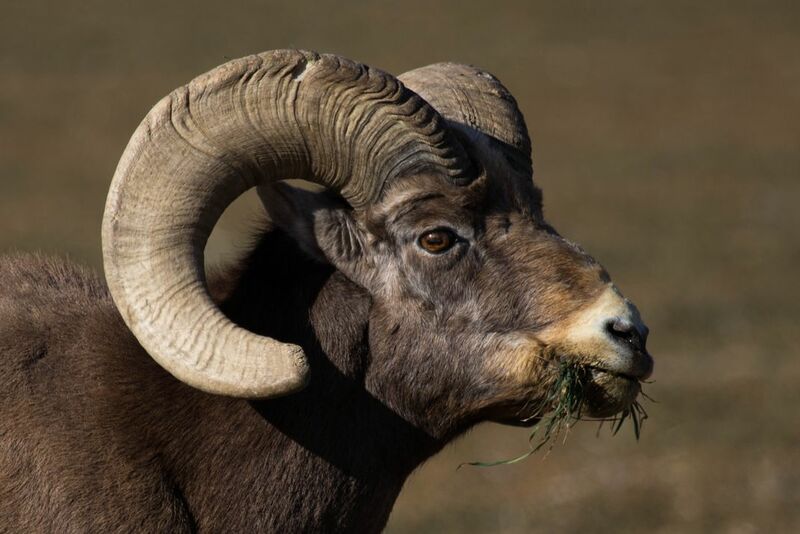 This Bighorn just so happens to be named Henry. He has been ruling this section of the Black Mesa for many years. While feeding on winter wheat in mid December he let me get close enough for this and many other shots. Date Uploaded: Oct. 23, 2015, 11:15 p.m.